Mother’s Tea meeting today at lunch! High school basketball teams will travel to Siletz today. 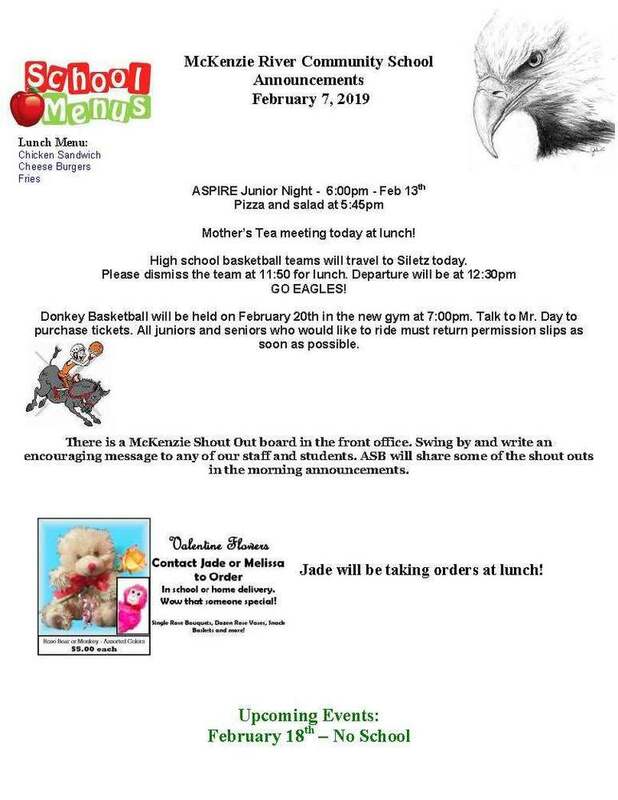 Donkey Basketball will be held on February 20th in the new gym at 7:00pm. Talk to Mr. Day to purchase tickets. All juniors and seniors who would like to ride must return permission slips as soon as possible. encouraging message to any of our staff and students. ASB will share some of the shout outs in the morning announcements.